“If the Russian government asks us whether to supply the S-300 or not, we would like these systems not to fall into the hands of the Syrians. Earlier, when such questions arose, we used the appropriate channels to discuss them with the Russian leadership. Now it also receives signals from our authorities about the undesirability of such supplies,” former Israeli Defense Minister Moshe Yaalon, who left office in 2016, said in an interview. Yaalon’s successor, Avigdor Lieberman, has repeatedly threatened to destroy the S-300 systems if Damascus uses them against Israeli aircraft that regularly strike targets in the neighboring country. Yaalon himself believes Israeli forces are ready to bypass modern air defense systems. “You know that the entire Syrian air defense system is based on Soviet or Russian equipment — SA-2, SA-5, SA-17, SA-22 [NATO reporting names for S-75, S-200, Buk and Pantsir systems]. The S-300 is a more powerful system, and we do not like it to appear in Syria, but just as we are ready and able to overcome the entire existing air defense of Syria, we should be ready to deal with the S-300,” Yaalon said. Mutual understanding between Israeli and Russian army has significantly increased over last decades, he noted. “We are glad that in the past there were times of the Cold War when Israeli pilots were confronted by Soviet pilots or SA-2, SA-3 [S-125] air defense systems under Soviet control. Since 1991, we have the official, open relations. That does not mean that we look at all the same questions, but we have channels to talk with each other… Therefore, we manage to find mutual understanding on many issues,” Yaalon stated. On April 14, following US-led strikes on Syria, Chief of the Main Operational Directorate of the Russian General Staff Col. Gen. Sergey Rudskoy said Russia might consider supplies of the S-300 air defense systems to Damascus. After the attack, Russian Foreign Minister Sergey Lavrov told Sputnik that Moscow was no longer bound by a moral duty not to supply Damascus with S-300 systems after Western strikes on Syria on April 14. 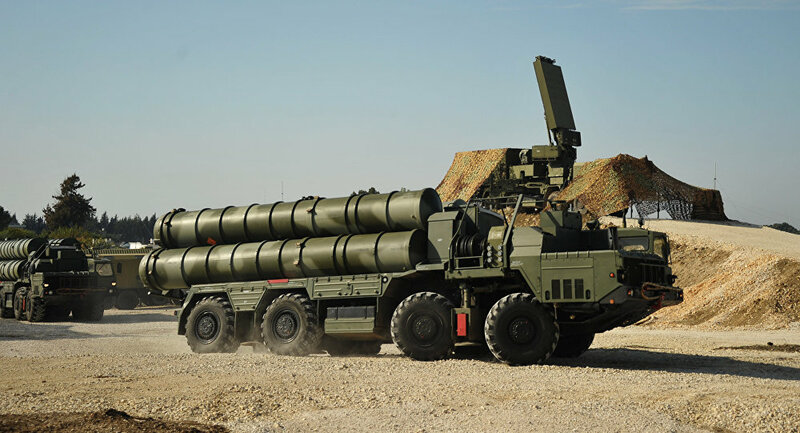 Back in 2010, Damascus contracted the supplies of S-300 systems, the contract was canceled at the request of Israel, which feared for its airspace. The so-called hotline that has been used by the Israeli and Russian military in Syria over the past three years has helped prevent a Russian jet that almost entered Israel’s airspace from potentially being shot down, former Israeli Defense Minister Moshe Yaalon told Sputnik. “[The ‘hotline’] saves lives, since it helps to avoid misunderstandings. At the beginning of the Russian operation in Syria, there was a case when a Russian pilot had almost crossed [Israel’s] border in the Golan Heights. If it had been a Syrian jet, we would have downed it. But we realized it was a Russian jet and used the ‘hotline’ to communicate with the Hmeymim [Russian airbase in Syria]. ‘Your jet is about to enter our airspace. Attention!’ The matter was solved immediately,” Yaalon stated. Yaalon was one of the developers of the information-sharing mechanism, which has been preventing aerial clashes and other dangerous incidents between the two countries since 2015 when Moscow launched its aerial anti-terrorist campaigns in Syria. Syria has been in a state of civil war since 2011, with government forces fighting against opposition groups and terrorist organizations. In September 2015, Russia launched aerial campaigns against terrorists in Syria at the request of Syrian President Bashar Assad. Russia and Israel have been in contact since the beginning of the operation and developed a mechanism to avoid accidental collisions between the forces of the two countries. In September 2014, Israel shot down a Syrian fighter jet which had infiltrated Israeli-controlled airspace over the Golan Heights. Israeli-Syrian relations are strained, particularly over the disputed region of Golan Heights. Israel occupied the Golan Heights in the 1967 Six-Day War and annexed the territory in 1981. The international community has not recognized the Israeli annexation.